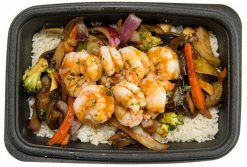 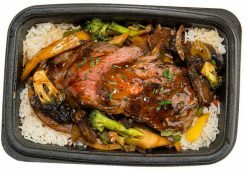 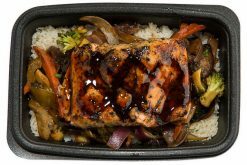 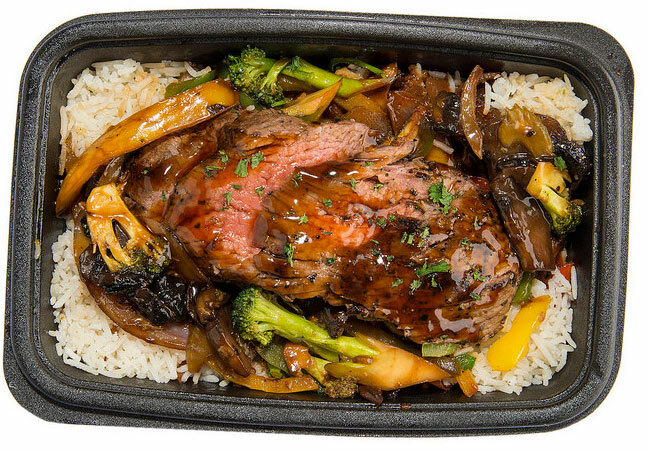 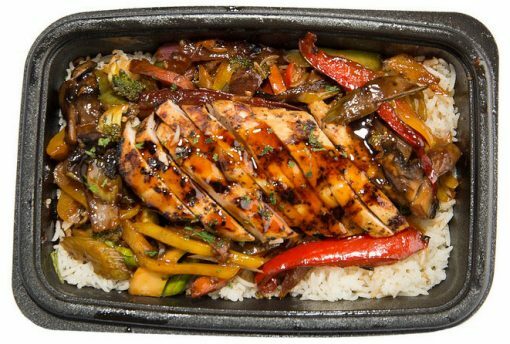 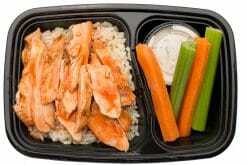 Your choice of Steak, Chicken, Shrimp, or Salmon over white rice and stir fry vegetables. Finished with a teriyaki glaze. 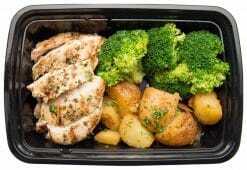 This meal was just fantastic. 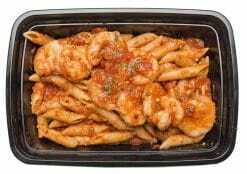 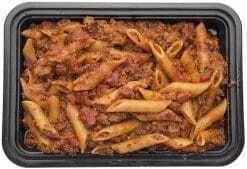 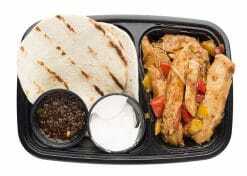 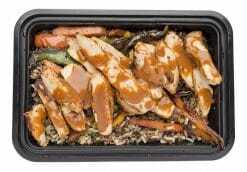 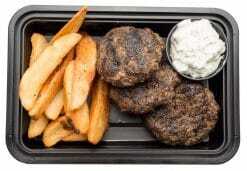 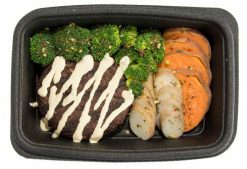 The quality of the food is the highest quality and easy to heat by microwave to enjoy. I am a large man and I was more than full after consuming this meal.